Parkinson’s disease may stem from an energy crisis in the brain, years before symptoms appear. If the research pans out, it points to a possible new approach for Parkinson’s: Giving a boost to a key power switch inside brain cells in hopes of slowing the disease’s inevitable march instead of just treating symptoms. “This is an extremely important and interesting observation that opens up new therapeutic targets,” says Dr. Flint Beal of New York’s Weill Cornell Medical College, who wasn’t involved with the new study. Beal said scientists already are planning first-stage tests to see if a drug now used for diabetes might help Parkinson’s, too, by targeting one of the implicated energy genes. 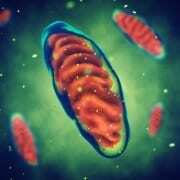 At issue are little power factories inside cells, called mitochondria. Increasingly, scientists suspect that malfunctioning mitochondria play some role in a list of degenerative brain diseases. After all, brain cells are energy hogs, making up about 2 percent of body weight yet consuming about 20 percent of the body’s energy. So a power drain could trigger some serious long-term consequences. “It could be a root cause” of Parkinson’s, says Dr. Clemens Scherzer of Boston’s Brigham and Women’s Hospital and Harvard University. About 5 million people worldwide, and 1.5 million in the U.S., have Parkinson’s, characterized by increasingly severe tremors and periodically stiff or frozen limbs. Patients gradually lose brain cells that produce dopamine, a chemical key to the circuitry that controls muscle movement. There is no cure, although dopamine-boosting medication and an implanted device called deep brain stimulation can help some symptoms. No one knows what causes Parkinson’s. To find genetic clues, Scherzer gathered an international team of researchers to comb studies of more than 300 samples of brain tissue – from diagnosed Parkinson’s patients, from symptom-free people whose brains showed early Parkinson’s damage was brewing, and from people whose brains appeared normal. They even used a laser beam to cut out individual dopamine-producing neurons in the most ravaged brain region, the substantia nigra, and examine gene activity. The team found 10 sets of genes that work at abnormally low levels in Parkinson’s patients, genes that turned out to play various roles in the mitochondria’s energy production, Scherzer recently reported in the journal Science Translational Medicine. Especially compelling, the genes also were sluggish in people with presymptomatic, simmering Parkinson’s. And all the gene sets are controlled by what Scherzer calls a master regulator gene named PGC-1alpha – responsible for activating many other genes that maintain and repair those mitochondrial power factories. So might revving up PGC-1alpha in turn boost underperforming mitochondrial genes and protect the brain? To see, the researchers tested dopamine-producing neurons from rats that were treated in ways known to cause Parkinson’s-like damage. Sure enough, boosting the power switch prevented that damage. This genetic evidence supports years of tantalizing hints that mitochondria are culprits in Parkinson’s, says Dr. Timothy Greenamyre of the University of Pittsburgh Medical Center. He ticks off the clues: A rare, inherited form of Parkinson’s is caused by a mutated gene involved with mitochondrial function. A pesticide named rotenone that can kill dopamine cells and trigger Parkinson’s symptoms in animals also is toxic to mitochondria. So is another Parkinson’s-triggering chemical named MPTP. Now with Scherzer’s study, “it’s going to be harder and harder for people to think that mitochondria are just a late player or an incidental player in Parkinson’s disease,” Greenamyre says. The crux of all that complicated neurogenetics: A diabetes drug named Actos is among the compounds known to activate part of that PGC-1alpha pathway, and Weill Cornell’s Beal says it’s poised for an initial small trial in Parkinson’s. Separately, a nutrient named Coenzyme Q10 is believed important in mitochondrial energy production, and Beal is leading a study to see if high doses might help Parkinson’s. Results are due in 2012. But Scherzer issues a caution: The average Parkinson’s patient has lost about 70 percent of his or her dopamine-producing neurons by the time of diagnosis. So if blocking a brain energy drain is going to do any good, scientists may have to find ways to spot brewing Parkinson’s much earlier. “I don’t think you can turn back the clock,” he says.